RVs – or Camping the Easy Way | Damian Trasler's Secret Blog - Do Not Read! ← If verse comes to worst. I’ve made no secret that camping isn’t my favourite thing, even over here where camping gets done right: firepits, tent pads, running water, toilet blocks and good access. But I have a dream: Waking up in a campsite without feeling like the cat slept on my head and the tent pad was replaced with orthopaedic rocks overnight. 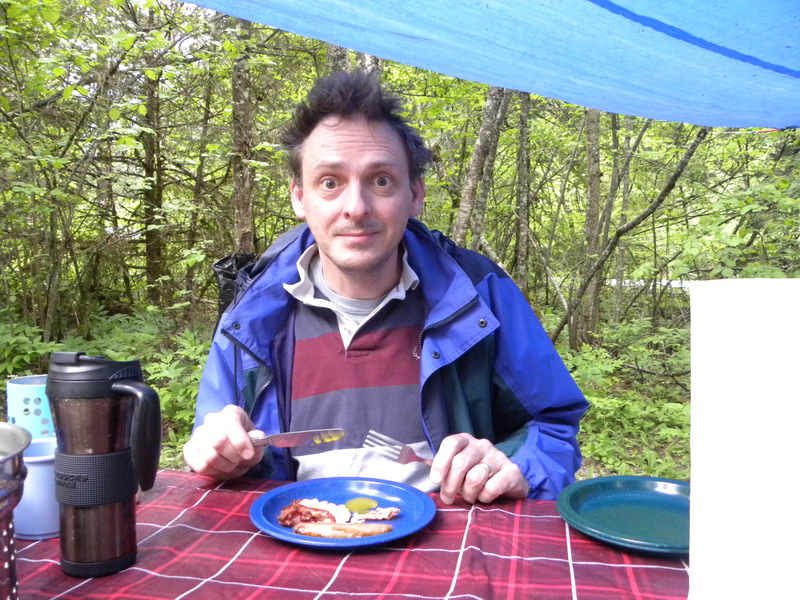 Yeah, this is how I look when camping. No one needs this in the mornings…. 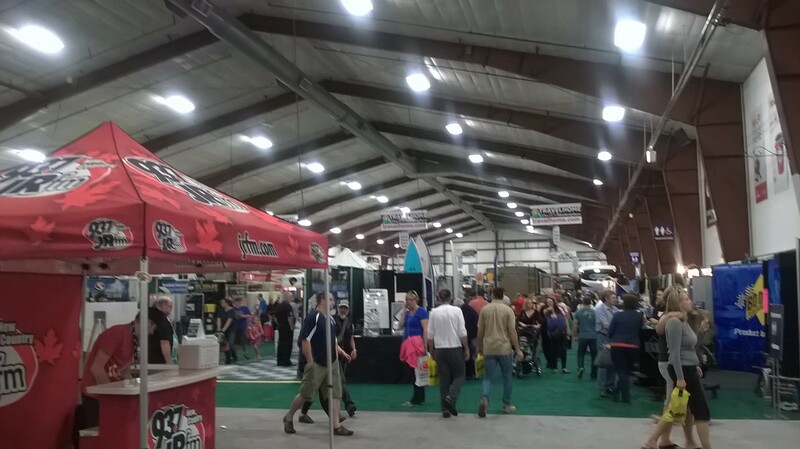 So, just for a laugh, we went along to the Snowbirds RV show in Abbotsford to see how the other half camps. And boy, were we in for a surprise. Just one wing of the Tradex facility. There were three other areas of equal size – plenty to see. Small on the outside, but containing a bathroom and a kitchen and double bed…Plus a zip-on shelter out front…. 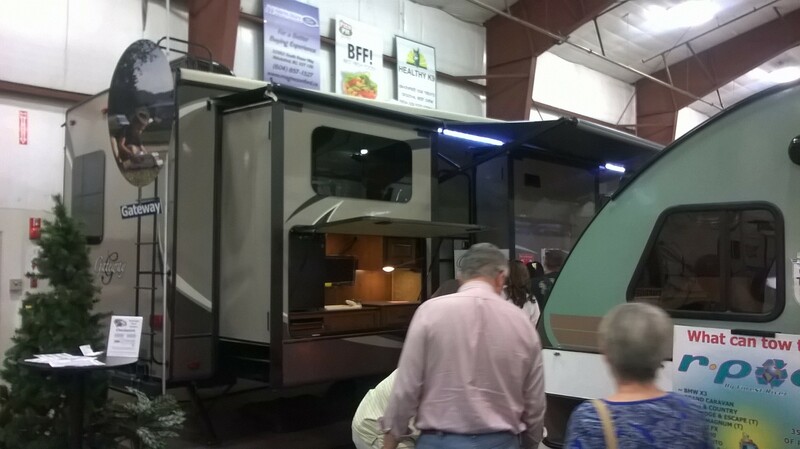 …Right up to the monster coach-sized rolling homes. 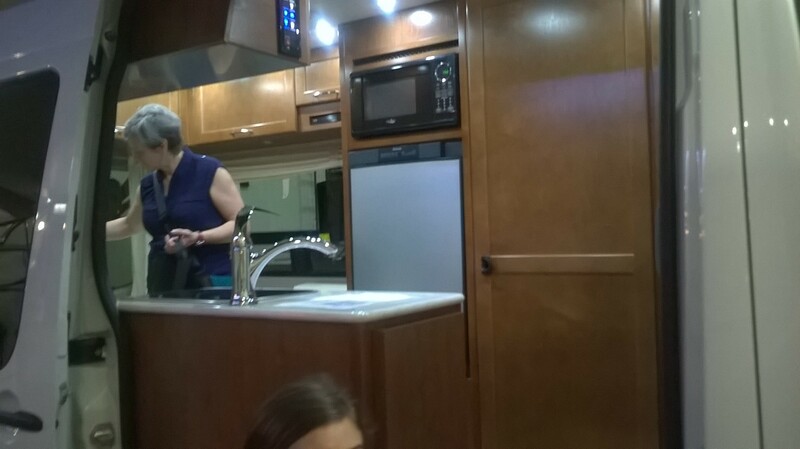 The biggest RVs had pop-out sections and living areas larger than the flat I lived in at college. We’re looking for something to suit our old bones better than a pad on the floor. And a built-in bathroom is more appealing than those late-night treks across a pitch-black campsite that may or may not contain bears. 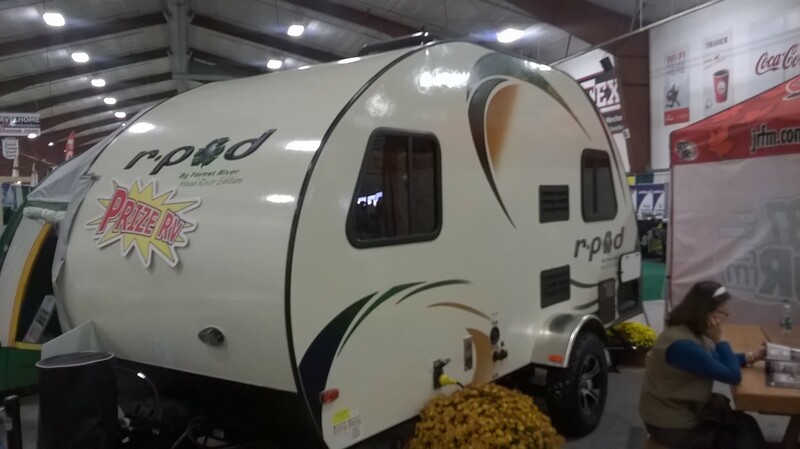 We discovered the Rpod would be great, but the trailer tents are more in our price range and neither is likely for now, since we still haven’t got a hitch put on the car. That’s the one hitch in the plan! That we haven’t got a hitch! Ha ha ha ha ahem. So it looks like we’ll still be in tents next summer, unless the books sales pick up and I make my first $20,000 and decide to blow it all on an Rpod. Or unless the Rpod people would like me to write them a glowing review of their product from personal experience? Go on, lend us one and we’ll be ever so careful with it. The weasels can sleep in the tent outside it….. 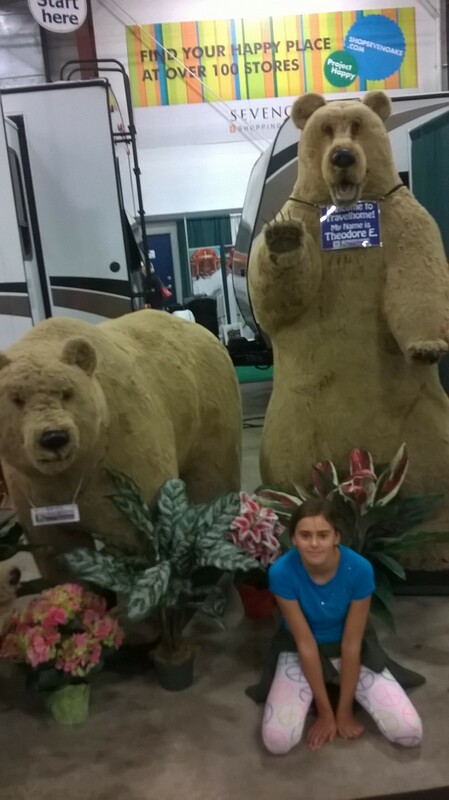 This entry was posted in Emigrating with Weasels and tagged Abbotsford, Camping, Rpod, RV, RVs, Tradex, trailer tents. Bookmark the permalink. Looks fun. Gonna have to rent one someday, far in the future. Hmm. I’d probably settle for any random RV. Haha.